Alcoholism, now also recognised as alcohol use disorder, is a chronic condition in which an individual has the intense desire or physical need to drink alcohol. Alcoholism, now known as Alcohol Use Disorder (AUD), has a severe negative impact on the affected person and those associated with them. It also burdens society in general with a significant social and economic problem that keeps growing, despite worldwide attempts by authorities and awareness groups to curb it. Because intoxication is so frequently encountered in daily life, we have become inured to AUD. Unless it affects us directly, we do not properly educate ourselves about the complexities of the problem. Consequently, many of us tend to see it as simply a bad habit that can be avoided, and we find ourselves helpless and frustrated by our inability to deal with it when it appears in our midst. Even when we are aware of the risk of contracting AUD, we tend to believe that it will not happen to us. Most people do not fall prey to it, and this reinforces the believe in our own immunity. Unfortunately, some of us are predisposed to it, but unaware of our vulnerability. When someone close to us shows signs of problematic drinking, the stigma of abuse often prompts us to deny the problem. This allows it to develop into full blown addiction. References to the many devastating consequences of AUD are often seen as tactics to exploit it for commercial gain or to simply scare an affected person into stopping it. The shocking truth is; extreme suffering and death is a reality that we often prefer to ignore. The gradual onset of addiction is a process filled with deceit. Some of us start using alcohol more often, because we feel we have a justifiable reason for it. Alcohol’s initial effects are pleasant and this allows the hidden processes of tolerance and dependency to stealthily creep into our psyche. Once we are addicted, we find it extremely difficult to free ourselves from it. Because AUD is such an abundant and unpredictable illness, it is a subject that all of us should explore. The condition is complex and covers a vast array of issues. Even if you are not personally affected, sooner or later you are going to need the knowledge to help a family member, friend or someone else who matters to you. 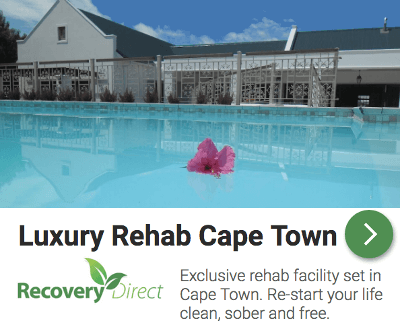 Recovery Direct is South Africa's leading addiction recovery centre for the treatment of drug abuse and addiction. This private alcohol & drug rehabilitation centre provides a multifaceted approach comprising both individual and group therapy across many formats. Tharagay Rehab in Cape Town had its beginnings in 1995 under the guidance of Dr Rodger Meyer, a renowned addiction treatment specialist. With over 20 years of experience, Tharagay has developed a full spectrum of affordable, quality treatment services.